If you’re having friends over to watch a televisual event, you need to make sure you get the basics right. Make that happen with our guide to hosting a successful TV viewing party. If you’re always on the lookout for great book recommendations, these podcasts will keep your “to read” list full, and offer some insightful commentary into the lives of authors everywhere. What is hacking? Why is hacking simultaneously glamorous and nebulous? How much of the hacking community do we actually understand? Do hackers deserve their reputation? These documentaries will answer all of these questions and more. With a new redesign now available as an open beta, Last.fm is heading out on its own comeback tour. But is this music service worth revisiting? Of all the amazing benefits of the Internet, one that is often overlooked is its ability to resurrect forgotten cultural icons. Such as these TV shows you’d be a fool to miss. Spotify is about to shake things up by making the desktop and web app experiences more similar. So, it’s about time many of us asked ourselves, Why not just use the web app instead? There are many reasons to buy an iPad, but few are as nerdy as the pursuit of a digital comic book reader. Where should you sell your comics? Ensure you get the best price? And find a good home for them? Here are some tips for successfully selling your comic collection. Is Netflix going to become just like any other TV network, where you have to sit through commercials while watching a television show or movie? Let’s sort the fact from fiction. Giant robots are obviously amazing, especially when they’re shown being friendly to humans. As in the Transformers films. But what other movies like Transformers should you be watching? Read on to find out. The quest to discover new music never ends. Grooveshark has closed down, but others continue to make it easier, or just better, to find and enjoy new music. While there are a lot of YouTube channels that focus on reviewing movies, there are some YouTubers who go beyond simple reaction videos and dig deep into what makes films special. Are you an optimist, or a pessimist? That’s the question at the heart of this Disney film. Is Tomorrowland worth watching? Read our spoiler-free review for geeks below to find out. 30 years after Mad Max Beyond Thunderdome, George Miller revisits post-apocalyptic Australia with a new Mad Max movie. Is Mad Max: Fury Road worth watching? Read our spoiler-free review to find out. Hollywood churns out so many movies that it’s very difficult to sort the wheat from the chaff. Luckily, we’re here to help you find the perfect movie to watch right now. Twitter isn’t always a land of love and kindness; sometimes things can get nasty. So, we’ve compiled a list of celebrities reacting to mean tweets, thus beating bullies at their own game. Spotify is no longer just a music streaming service. At an event in New York, Spotify launched a bunch of new features, including video streaming, in a bid to become an entertainment hub for users. From the depiction of detectives doing things that just can’t be done yet, to showing us last century’s gadgets being the standard for the future, Hollywood often gets technology wrong. Did you know that you can check out eBooks from your local library and read them on your Android device or eReader? You can, and it’s free and simple. Instagram Music: What’s It All About? You might have heard that Instagram recently launched a dedicated music account. But what does this actually mean for you, other than a new account to follow? 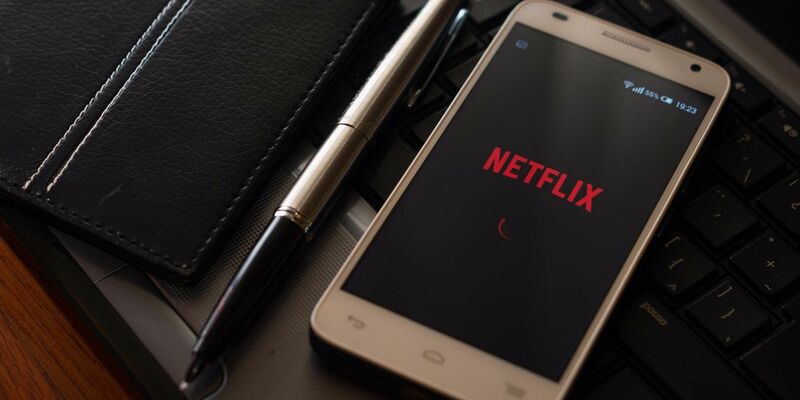 Spotify vs Netflix: Is There Room for Both with On-Demand Video? Spotify may well be expanding into video streaming, and competing directly with the likes of Netflix and YouTube. Is this a smart move, or is Spotify punching above their weight?